Iran gets ready to send 200 tons of medicine to Iraq. With inflation on the rise and the soaring price of medicine in Iran, state-run news agencies are reporting that the government was sending 200 tons of medicine and medical equipment to Iraq. In interviews conducted by state TV, ordinary Iranians said that the price of medicine has had an unbelievably sharp increase in the past months. “I went to town and bought the medicine that I got before for 39,000 tomans (around $8) for 350,000 tomans (around $83),” one person said. “A box of pills that I used to get for 4,000 tomans (around $1) is now 8,000 tomans (around $2),” another person said talking to state TV. “The medicine that was 10,000 tomans ($2), I bought right now in Isfahan for 250,000 tomans (around $59)”, another Iranian citizen said. This is while some medications cannot even be found in the capital. In such conditions, ISNA state-run News Agency reported on October 10 that the government was sending 200 tons of medicine to Iraq. 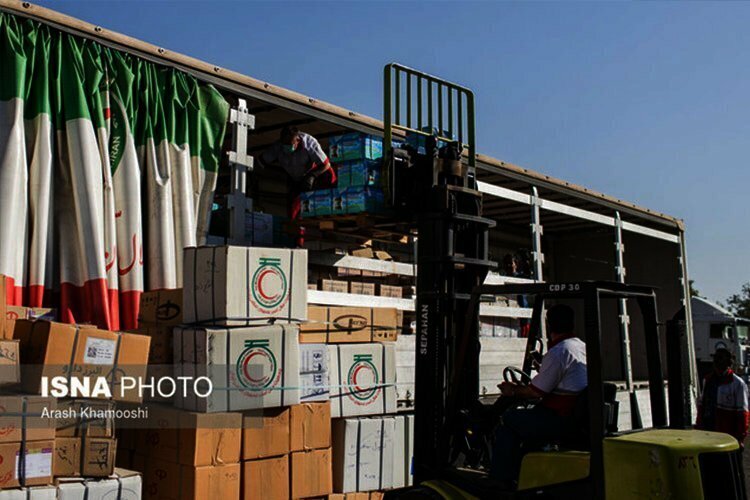 “200 tons of medicine including 400 kinds of medicine, and 80 medical items will be sent to religious sites (in Iraq) with 14 trailers,” Mahmoud Mohammadi Nasab, the General Director of Iran’s Red Crescent said. This is while Iranian officials have claimed that US sanctions are behind the disruption in the import of medicine to the country. On October 19, the state-run Fars News Agency wrote that in the wake of the surge of sanctions against Iran, “one of the issues that show the depth of the West’s pressure on the Iranian people was the limitations that have led to a disruption in the import of medicine to Iran”. Medical supplies are not included in the US sanctions against Iran. Other state-run media have acknowledged that the reason behind the high price of drugs was the widespread hoarding of medicine. In summer, a warehouse full of hoarded medicine worth 5 billion tomans (around $1,187,507) was found in Alborz Province. Following the discovery, official sources said the warehouse belonged to the daughter of a former Minister of Industry.